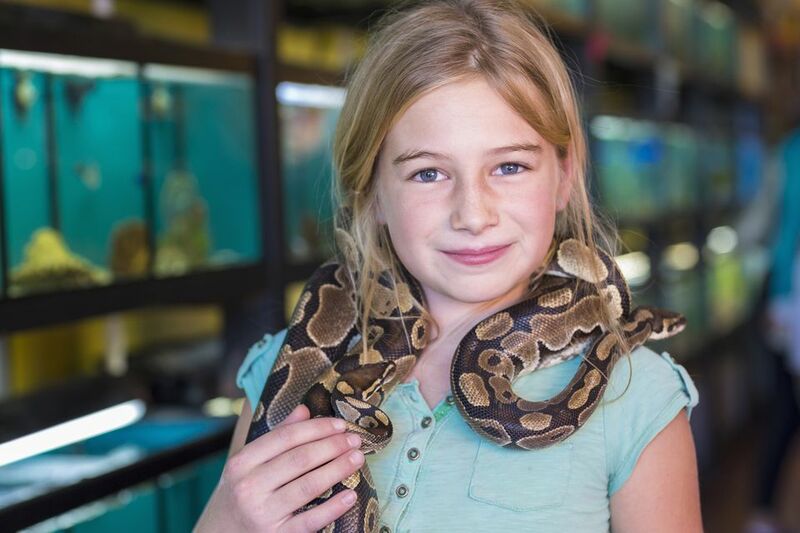 Snakes make good pets as long as you choose a suitable type for your experience level and select a healthy reptile. Your snake needs a secure, properly sized cage made from an appropriate material, and it must close with a proper lid. There are several different types of substrate you can use in the cage to bed your snake. Consider the pros and cons of each and choose the best type for your pet's needs. 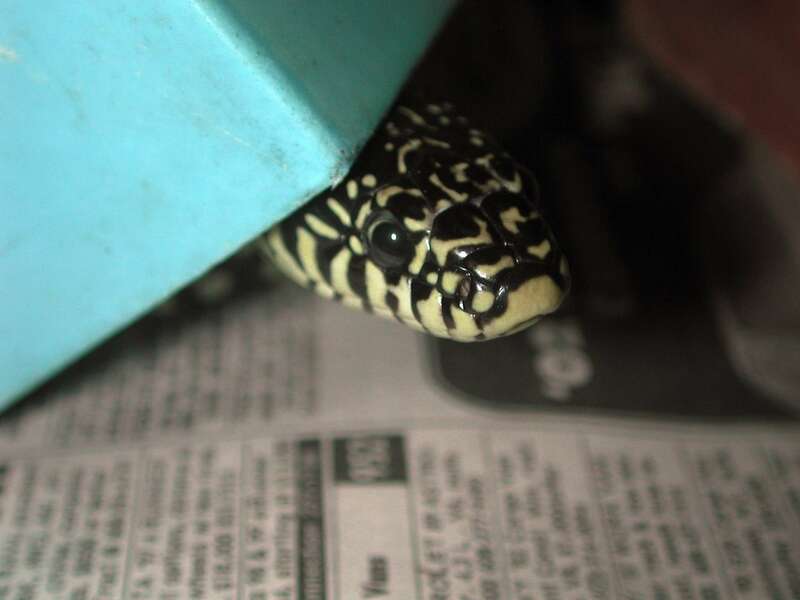 Newspaper is popular for snake bedding because it's readily available. You can often get it for free, and it's easy to change when your pet soils it. A snake can't easily burrow in newspaper, so it's best for species that don't burrow naturally. It's not a particularly decorative type of substrate, but it's very good for tight budgets. Like newspaper, paper towels make good snake bedding because they're absorbent and easy to remove when soiled. Simply remove the towels and replace them with new ones when you clean your snake's cage. They're most suitable for snakes that don't burrow. Sand is a more aesthetically pleasing substrate for snakes than newspaper or paper towels. You can purchase it at pet shops in a wide variety of colors to fit into your decorative scheme. Snakes can burrow in sand, but it's bad for your snake if the sand is swallowed. Ingested sand causes impaction and grains of sand can get under the snake's scales. This bedding also gets soiled very quickly and must be completely replaced. Weigh its visual appeal against the potential problems. Carpeting is a suitable substrate for non-burrowing snakes. It's cheap if you use remnants, but you'll need at least two pieces of a suitable size to fit in the cage. One piece of carpet can stay in the cage while you wash the other. Carpeting gets soiled quickly, so you need to do frequent washings. Like carpeting, artificial turf works well if you have multiple pieces so you can put a clean piece in your snake's cage while cleaning the soiled one. This material is very easy to clean. It's also durable and lasts a long time, although its appearance deteriorates from repeated washing. Although snakes can't burrow in this type of bedding, it tends to be comfortable for them because it mimics real grass. Get a large piece at a home improvement store and cut it down into several smaller squares that fit your pet's cage. Cypress mulch is a comfortable substrate for snakes. They can dig around in the mulch and it retains humidity nicely. It's attractive and has a pleasant but not overwhelming smell. This mulch is cheap and readily available at garden shops.You do have to remove all the mulch to thoroughly clean the cage. Always bake cypress mulch in your oven for half an hour before using it as snake substrate. This kills any mites or other insects that might be living among the chips. Although cedar and pine shavings are not suitable for use in snake cages, aspen shavings make a good substrate. Use these shavings with smaller snakes and those that don't need high humidity. The shavings get moldy from too much moisture, and particles can get under a large snake's scales on its belly, which causes irritation. You can easily buy aspen shavings at Amazon or pet stores since they're a popular bedding type for many different types of pets, including pocket pets like rabbits, rats, mice and guinea pigs. Coconut fiber bedding is a comfortable, soft fiber bedding for snakes and other reptiles. It has natural odor fighting properties, and it's a "green" substance that lets snakes burrow. You can easily find it in pet stores or on Amazon, sold by brands like Coco Soft, Coco Bedding and Tropicoco Husk.